Property 3: Martha's Guest Suite: Less than 3 miles from Sight and Sound Theater. Property 12: Unique A-Frame style home located near attractions in the Amish Country. 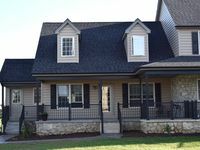 Property 17: Th Sycamore Bungalow located near attractions in The Amish Country. Property 18: Historic, Yet Modern Carriage House Loft Apartment Nestled In Lancaster County. Property 35: Romantic Cottage, with outdoor hot tub, also a beautiful setting for a wedding! Property 37: The Lititz House on Lincoln - in downtown Lititz! Property 39: Relax close to all the Amish Country attractions. Affordable, Family-Friendly. Property 40: Entire house is yours! 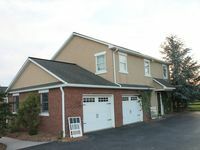 in Paradise, PA , 3 story/5+ bdrm house. HOT TUB! Property 46: AMISH OWNED AND OPERATED. Jesus is now playing at sight and sound. 5 Bedroom Farmhouse Located In The Heart Of Pa Dutch Country. Property 50: 5 Bedroom Farmhouse Located In The Heart Of Pa Dutch Country. What a beautiful house! Clean! Scenic views from all sides!! Great location! We had an absolute great time! Thanks!!!! Looking forward to staying again soon! Also, we were greeted with yummy cupcakes!!!!! Thanks!!!!! !